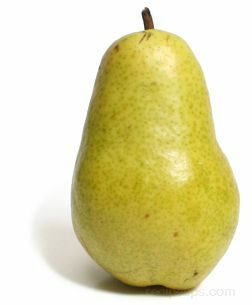 One of the most popular varieties of pears, the Bartlett pear originated in England. The light green skin eventually turns a yellowish color when ripe. The red Bartlett variety is the same as the green variety except that it turns a dark crimson as it ripens. The juicy Bartlett pear is excellent as a snack, for use in salads, or in a variety of cooked dishes.